Short résumé : In 1992, Claire Ducreux graduated from Lyon National High School of Music and Dance, department of modern dance. Since then, she has performed for various contemporary dance companies mainly in France. In 1998, she moved to Barcelona to make a duo with catalan clown Leandre, Fragile, award-winning in Spain in 1999 and 2000. She began then to discover her own language, a cross-over of 3 art forms : dance, physical theater and interactive clown. 3 shows have been slowly produced to form the trilogy of the vagabond : De Paseo (2004), Barco de Arena (2008), The Smile of the Shipwrecked (2012). On stage, she believes the most important thing is to communicate and share emotions with the audience. Since 1999, she has been performing all around the world with her one-woman shows and her duos. 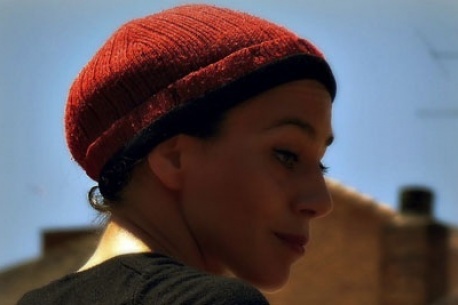 Claire Ducreux obtained the diploma from the CNSM in the discipline of contemporary dance in 1992. In 1999 she created the company Leandre-Claire with the catalan clown Leandre Ribera; Together they created Fragile a street show (winning the following prizes: 1rst prize of the jury of "Festival de Teatro y Arte de Calle de Valladolid", 1rst prize of the public of "XIII Festival de teatro de calle de Vila-Real", and 2nd prize of the public of "XIX Fira de teatre al career de Tarrega in 2000") and Madame et Monsieur, an indoor theatre show (public prize for the best show of "Teatro del Mar"), 2 shows that toured in the whole world during several years. In 2004 she created her first solo dance-theatre street show De Paseo (special prize at the "Feria de Artistas callejeros del Humor de Leioa- Umore Azoka"). Parallel to her solo career, in 2005 she played as a clown-dancer in a circus show Rodó (National circus prize of catalunya 2006) and in 2010 she created and danced with Toni Mira in En attendant l inattendu (Public prize for the best show at the "Fira de teatre de Manacor 2010"). Poetic Refugee, her first indoor one-woman show, is produced with the support of Mercat de les Flors in Barcelona (ES). Premiered in Fira Tarrega, September 2014. 2016 Silencis, awarded Best Street Performance of TAC Festival in Valladolid (E) in 2017.